Is this man in Control? Drawn in what is being dubbed as the Group of Death, India will look to carry forward the form they exhibited in the warm-up games as they lock horns with South Africa in the Champions Trophy opener on Thursday. South Africa captain AB de Villiers tried to put up a brave front as he informed that his premier fast bowler Dale Steyn is a doubtful starter against India in the opening group league encounter of the Champions Trophy on Thursday. In the wake of the spot-fixing scandal surrounding the IPL and Bangladesh Premier League, the ICC is doing whatever it can to minimise the risk of corruption during the Champions Trophy, which starts in the UK on Thursday. Former India captain Sunil Gavaskar today said that wicketkeeper-batsman Dinesh Karthik has “done enough” in the two practice matches to earn his place in the playing XI against South Africa in the Champions Trophy in Cardiff tomorrow. An internal probe report was today submitted to BCCI about IPL spot-fixing in which three players including S Sreesanth of Rajasthan Royals were arrested by the Delhi Police a fortnight ago. Delhi Police today called Rajasthan Royals owner Raj Kundra to seek details about accused players in the IPL spot-fixing case and the agreement they had reached with them. Madras High Court today ordered issue of notice to the state government and Tamil Nadu Cricket Association office-bearers, including its President N Srinivasan, on a petition which alleged irregularities in TNCA and sought appropriate action. 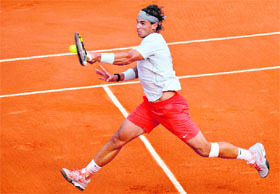 Rafa Nadal’s transformation into claycourt machine was complete on Wednesday as the seven-times champion bulldozed into the French Open semifinals with a 6-2 6-3 6-1 crushing of Swiss ninth seed Stanislas Wawrinka. Maria Sharapova kept alive her hopes of retaining the French Open title with a 0-6 6-4 6-3 win over Jelena Jankovic in the quarter-finals on Wednesday despite a hail of unforced errors. In what could lead to a face-off with the All India Football Federation, 14 I-League clubs today unanimously decided not to release players for an IPL-style tournament planned early next year by the AIFF and its marketing and commercial partner IMG-Reliance. Mr Sharapov thinks Maria can beat Nadal! Maria Sharapova’s father is so confident about his daughter’s French Open credentials that he has declared that she “can beat Rafael Nadal on clay”. Whether or not Yuri Sharapov still held that belief when his only child was whitewashed by Jelena Jankovic in the opening set on Wednesday is anyone’s guess. With every game a virtual shootout, both the former winners will be eager to start well in the last edition of this tournament. As World Cup champions, India will have more than their reputation to defend in this 50-over format contest. They have not played a limited over international outside the sub-continent in the last 15 months but the two big wins in their practice matches against Sri Lanka and Australia will give the Indian team management a fair idea of the conditions. India will also look to put behind them the recent spot-fixing scandal surrounding the IPL. India have a good record against South Africa in the Champions Trophy. They lead 2-0 in head-to-head records. With two out of the four battle-hardened teams qualifying for the semifinals, all matches in group B are expected to be fought closely. Except Pakistan, India, South Africa and the West Indies have won the Champions Trophy at least once each and hence more than just pride will be at stake. South Africa also arrive with a lot of reputation to protect. They are the world’s No. 1 Test team but their ODI fortunes have been scratchy and it showed during their warm-up game against a talented Pakistani attack on Monday. The defeat exposed the chinks in a batting line-up without two solid customers, Jacques Kallis and Graeme Smith. Most captains have dismissed their defeats in the practice games. That time will come on Thursday and India will be the first big hurdle. Fresh from the T20 Indian Premier League, most Indian players are quickly trying to adjust to the 50-over variety. It’s been a test for application and temperament and if the results in the two warm-up games are anything to go by, the feedback is mixed. When Mahendra Singh Dhoni stepped out of Indian shores he said this Champions Trophy will be a test for the junior boys. Dhoni indicated there were berths up for grabs. So far, only Dinesh Karthik has guaranteed himself a slot in the playing XI. With two successive hundreds under pressure against Lanka and Australia, Karthik is a virtual certainty but his batting position is a matter of conjecture. “I am happy to bat at any position. It’s up to the team to decide where I fit in,” he had said after his unbeaten 106 against Sri Lanka. “I think he has earned his place in the side and we’ll just have to see who misses out when we play South Africa. 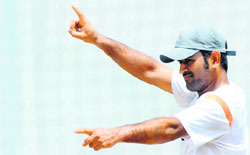 I’d like him at the top of the order but we’ll see,” Dhoni said. Rohit Sharma, thus, may not be able to hold on to his No. 4 position. It is unlikely that India will disturb the opening combination of Murali Vijay and Shikhar Dhawan. The Champions Trophy owes its existence to Jagmohan Dalmiya, who came up with the idea of an ODI tournament second only to the World Cup when he was the ICC president in the late 1990s. The World Cup, of course, had been the premier world-level tournament, but it was a quadrennial event. Dalmiya, the canny fundraiser who turned around ICC from bankruptcy to financial good health, wanted to use the time between the World Cup tournaments to raise funds for the game. 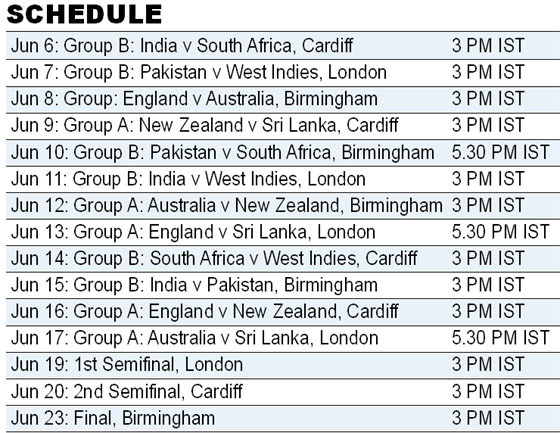 The other purpose behind the tournament was to make the sport more popular in the emerging cricketing nations. With that idea, the first tournament of this series, then called the mini World Cup, was staged in Dhaka in 1998. It was a financially successful event, raising over £10 million for the ICC. The second tournament of the series was also held in an emerging cricketing nation, Kenya, in 2000. This, too, was commercially successful, largely due to the TV rights being sold for high sums, but the tournament lacked thrill at the venues — it was sparsely attended. In 2002, the tournament came back to Asia, to Sri Lanka. The idea of organising it in the emerging nations had been dropped by now, and the next edition of the event was held in England (2004) and then in India (2006). In the first two events, the format was straight knockout. In 2002, the format was revised to include group format, which meant that there was a long group stage. Despite the low cost of tickets, the fans stayed away. The same format was used in the 2004 tournament as well. There were 12 teams divided in four pools — again, the number of pointless, dull games was very high. England there is no lack of Indian fans, but barring India’s matches, the tournament was sparsely-attended. When the tournament came to India in 2006, the format had been tightened, teams like the United States were discarded, yet there were more matches than the 2004 tournament. A qualifying round had been introduced so the number of matches increased from 15 in 2004 to 21 in 2006. Steyn is suffering from a side strain and pulled out after bowling just five overs during a warm-up match against Pakistan at The Oval on Monday. “He (Steyn) is not looking good at all. We will reassess tonight and again tomorrow morning and it’s still touch and go. It’s not only one game and won’t like to risk him,” De Villiers told reporters here at the National Cricket Centre on Wednesday. De Villiers however said he wasn’t too worried with Steyn’s absence. “We have the experience and the energy to do our best. Against India, we will come out like a pack of wolves,” he said. Stating that the first 10-15 overs in every game will be crucial in the tournament, De Villiers said they are aware about the pros and cons of the Indian players. “We know a lot of about each player in their camp and we surely have our plans for them,” he said. South Africa have former Indian coach Gary Kirsten as their team boss. Quite a few players like Mahendra Singh Dhoni, Suresh Raina and Virat Kohli, who were part of the 2011 World Cup-winning squad, still remain the backbone of the Indian squad here at the Champions Trophy. This will be Kirsten’s last assignment as coach of the South African national team. De Villiers said winning will depend on how well India or South Africa play as a team. “It’s not about individuals. We have to play as a team and we are a set one and I am very happy with the combination we have,” he said. South Africa won the inaugural edition in Dhaka in 1998 and the Proteas will be keen to take home trophy in what will be the last edition. Six of the eight teams taking part, including their support staff, have been given an hour long presentation by ACSU officials on how to spot danger signs and raise concerns. “He (Dinesh Karthik) has to play tomorrow. He has rescued India twice in the practice matches. He has been in good form and has done enough to make his place in the side,” Gavaskar said. Despite Shikhar Dhawan and Murali Vijay failing to impress in the games against Sri Lanka and Australia, Gavaskar felt India should still go with regular openers against a strong South African bowling line-up. “I don’t think India would want to unsettle their opening pair. They might have struggled in the practice matches but still they would require regular openers in seaming English conditions,” Gavaskar said. With doubts over fitness of Dale Steyn for tomorrow’s match, Gavaskar said the absence of South African tearaway pacer will be a huge advantage for India. “South Africa will be missing Graeme Smith and Jacques Kallis plus fitness concerns of Dale Steyn would be a big problem for them. 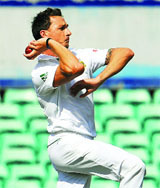 If Steyn is not playing tomorrow, it will be a huge advantage for India and they must capitalise on it,” he said. Gavaskar feels it’s a blessing in disguise for Mahendra Singh Dhoni and his men that they are playing outside India, away from the “noise” at home due to spot-fixing scandal. The fate of the report, which was completed without getting any access to the arrested players and complete evidence collected by the Delhi Police, was yet to be decided keeping in view the crisis that has engulfed the cricket board. BCCI had appointed R N Sawani, a former IPS officer who probed the 2000 match-fixing case, to submit its report to the Cricket Board after analysing the probe of Delhi and Mumbai police. The mandate of the probe was to examine allegation levelled by the Delhi Police against the three players and the three matches that have been listed by the Delhi Police, official sources said. However, the BCCI-appointed one-man probe team could not question the three players — Sreesanth and Ajay Chandalia as they were in judicial custody whereas Ankeet Chavan was out on bail only for marriage purposes. BCCI had got in touch with the Delhi Police requesting them to allow examination and sahring of the evidence against the three players. All the three have been suspended pending an enquiry. BCCI had given a time of 15 days for Sawani to complete the probe. According to sources, Delhi Police shared some basic details about the case which included how they stumbled on spot-fixing and involvement of the players and their subsequent negotiations. Special cell of the Delhi police had arrested Sreesanth, Chandila and Chavan — along with bookies after their team’s IPL match against Mumbai Indians at the Wankhede stadium in Mumbai on May 16. Kundra reached Delhi Police’s Special Cell office in Lodhi Road this morning. Earlier this week, Delhi Police had sought inputs from former BCCI Secretary Sanjay Jagdale and IPL CEO Sundar Raman on the tripartite agreement between BCCI, IPL teams and players. Delhi Police had yesterday invoked the stringent MCOCA against suspended cricketer S Sreesanth and 22 others in the IPL spot-fixing scandal for which the “command” originated from underworld don Dawood Ibrahim’s outfit. Following this, a Delhi court remanded Sreesanth, another player Ajit Chandila and the others to further judicial custody till June 18. There are total 26 accused arrested by the Delhi Police in the case, out of which Rajasthan Royals’ Ankeet Chavan is on interim bail till June 6 while Sreesanth’s friend Abhishek Shukla is on regular bail. Cricketer Sidharth Trivedi, who was made prosecution witness, also came to Special Cell when investigators were talking to Kundra. Trivedi is also a Rajasthan Royals player. Kundra’s friend Umesh Goenka was also called to special cell. Later, Goenka recorded his statement before a magistrate under section 164 of the CrPC. When the petition by a city-based cricket club affiliated to TNCA came up for hearing, Justice K K Sasidharan ordered notice to state government officials concerned and private notice to 25 office-bearers of TNCA returnable by June 17. Special Pleader IS Inbadurai took notice for government. C S Kadiresan, Honarary General Secretary of Bharath Cricket Club, in his petition alleged there were various irregularities in the running of TNCA. He alleged that while the rules of Board of Control for Cricket in India did not permit its office-bearers to have any stake in cricket playing institutions, they were “amended” and “tailor made” to suit the needs of the TNCA chief, who is also the President of BCCI, and his company. “...the entire affairs of the TNCA was being mismanaged and being run prejudicial to the interests of the association just for the personal advantage and gain of the fifth respondent (Srinivasan) herein as an IPL franchisee,” it said. He also observed that his club along with six other clubs had made a representation to the state government on March 27, 2012 about the “mismanagement, mal-administration and improper functioning” of the Executive Committee of the TNCA. Listing out various instances of alleged mismanagement and misadministration by TNCA, the petition sought a direction to government officials concerned to take appropriate action against the EC members of the TNCA, on the basis of its representation. After he huffed and puffed through the opening week of the claycourt grand slam, the Spanish third seed was at his awe-inspiring best to set up a meeting with world number one Novak Djokovic. Nadal marched through the opening set conceding zero break points against a tiring Wawrinka. The Swiss ran out of steam and ideas, bowing out on the first match point after less than two hours. While, world number one Novak Djokovic kept calm, cool and collected to subdue the challenge of 35-year-old Tommy Haas with a 6-3 7-6(5) 7-5 win in the quarterfinals. After Djokovic outplayed the German warrior in the first set, Haas went toe-to-toe with the Serbian in the second. Three times the 12th seed went ahead with a mini-break in the tiebreak but each time Djokovic fought back. When Djokovic brought up set point by finishing off a 24-shot rally with a breathtaking crosscourt backhand winner, the damage was done and there was no way back into the set for Haas who was looking to become the oldest men’s semi-finalist in Paris since 1968. Haas enjoyed one final hurrah in the third set, breaking the top seed when he was serving for the match at 5-4 but it was soon evident he was running on empty as he lost the next two games and the match when Djokovic whacked a backhand winner into the corner of the court. Maria Sharapova kept alive her hopes of retaining the French Open title with a 0-6 6-4 6-3 win over Jelena Jankovic in the quarterfinals despite a hail of unforced errors. Sharapova had entered the contest with a 7-1 win-loss record over her old sparring partner from the Bollettieri Academy but no one would have guessed following her first-set meltdown. With the Russian’s backhand misfiring, forehand malfunctioning and serve stuck in first gear, Sharapova gave Jankovic free reign to do as she pleased. The Serbian former world number one blasted winners with her “money-shot” backhand “that pays my bills” and then drew loud cheers for sliding into the splits as she chased down the ball. Jankovic wrapped up the first set after yet another sloppy forehand from Sharapova, which took the number two seed’s unforced errors count to 20. A slight misjudgement from Jankovic in the opening game of the second set, when she opted to hit the ball at Sharapova rather than go for an outright winner, threw the Serbian off course and she went on to drop her serve and the set. A forehand into the tramlines from Jankovic handed Sharapova a place in the semifinals for the third year running and a date with third-seeded Australian Open champion Victoria Azarenka who beat Russian Maria Kirilenko 7-6 (3) 6-2. Sharapova had entered the contest with a 7-1 win-loss record over her old sparring partner from the Bollettieri Academy but no one would have guessed following her first-set meltdown. With the Russian’s backhand misfiring, forehand malfunctioning and serve stuck in first gear, Sharapova gave Jankovic free reign to do as she pleased. Jankovic, rather than pressing home her advantage in front of a group of flag-waving Serbian male fans who serenaded the 18th seed throughout the match by chanting her name, paid a huge price for what at the time seemed like an innocuous mistake. A slight misjudgement from Jankovic in the opening game of the second set, when she opted to hit the ball at Sharapova rather than go for an outright winner, threw the Serbian off course and she went on to drop her serve and the set. That left Jankovic to resort to her usual habit of muttering away to herself as Sharapova kept her focus to break in the seventh game of the third. A forehand into the tramlines from Jankovic handed Sharapova a place in the semi-finals for the third year running and a date with third-seeded Australian Open champion Victoria Azarenka who beat Russian Maria Kirilenko 7-6 (3) 6-2. Former world number one Azarenka has now reached the last four in all the Grand Slam events. Azarenka took the opening set after 76 minutes, with Kirilenko taking a medical time out to apparently have her lower back treated. The double Australian Open champion broke early in the second set and held firm, wrapping up the win on her opponent’s serve after nearly two hours. “It was unanimously decided that no club will release on loan or otherwise any player for the IMG-Reliance tournament and will not take any IMG-Reliance contracted players on loan or otherwise,” said a statement of the I-League clubs’ umbrella body, Indian Professional Football Clubs Association (IPFCA). Thirteen of the clubs’ representatives, with clear mandate from the club owners, were present at the meeting. SSCB, Jharkhand, Odisha notch up victories: Services Sports Control Board (SSCB), Hockey Jharkhand and Hockey Odisha won their respective league round matches at the 3rd Hockey India Senior Men’s National Championship. In a Group E match, SSCB notched up their third win in three matches, outplaying Sports Authority of India 6-1. Hockey Jharkhand crushed Bengal Hockey Association 12-2, while Hockey Odisha beat Comptroller & Auditor General 3-2. Veteran Kerala cricketer Balan Pandit passes away: Former Kerala captain M Balan Pandit passed away at his residence in Koonammavu today. Balan, 87, died of old age related ailments. In a career spanning from 1946-70, Pandit played for Kathiawar, Travancore-Cochin besides the state team. He played in 46 first class matches and scored 2317 runs, including five centuries.